Currently, there is a small probability that with the rabbit drops "rabbit's foot." With this rabbit's foot, you can move 3 times faster. 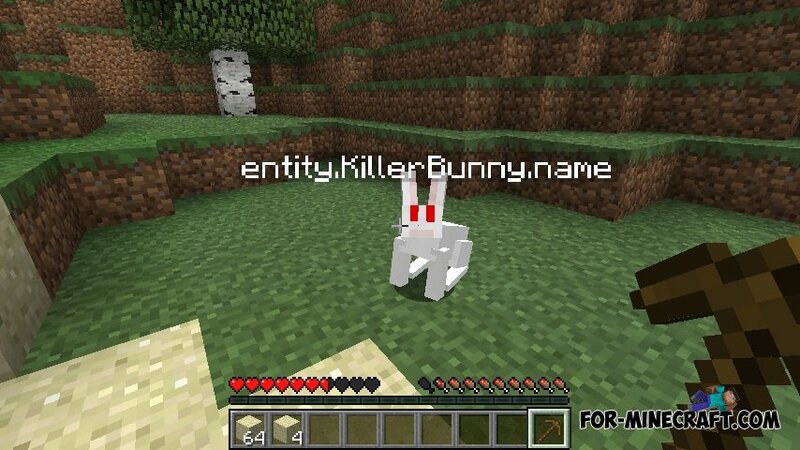 Rabbits Mod for MCPE 0.10.5Rabbits Mod - modification adds rabbits in the world of Minecraft Pocket Edition the same as on the PC version of the game. More carpet mod for MCPE 0.10.5This is a very funny mod that adds 9 new carpets in the game, but one of them "killer" can kill you when you stand on it. Assassin ‘s Creed 2 map for Minecraft Pocket Edition 0.10.4Florence - a city in central Italy, as well as the place where the action game Assassin's Creed 2. You play as a killer in this ancient city, performing various tasks. Rabbit mod for Minecraft PE 0.10.0, 0.10.2, 0.10.3Very long gone by - a truly unique and very unusual mods and this time the author has decided to please us very much. Sprint mod for Minecraft Pocket Edition 0.9.0This mod adds a sprint to the game, but be careful, as there are 6 different speeds of running.